In between mowing and planting and fretting, I’ve been cracking on with the tropical border and the two completely new beds (see – ‘Busy, Busy, Busy’). I finally finished cutting the turf (on either side of the path) for the two new beds; rock hard soil didn’t make this task any easier and yep, I’ve hurt my back. Looking a little like an oil-tanker, it needs more work as I’m not happy with the shape – it needs to be ‘curvier’. (Incidentally, these beds don’t extend all the way along the path, as this is the only access to the east lawn for the ride-on mower and quad bike). 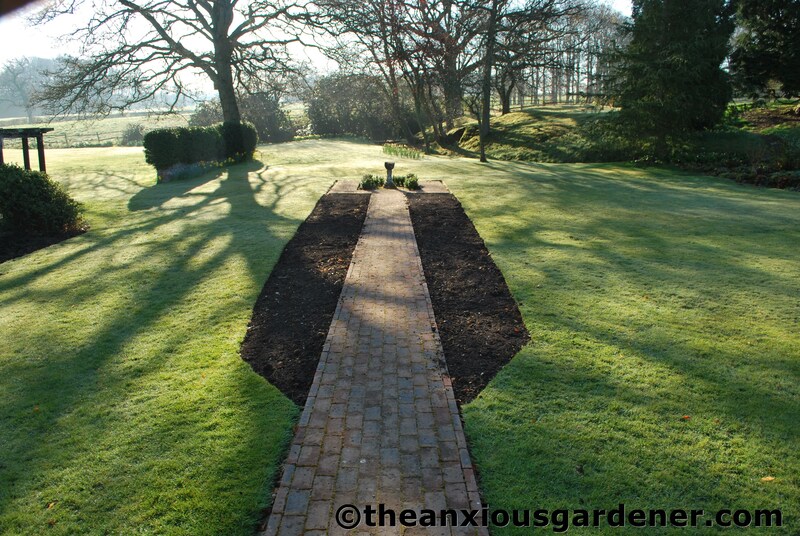 With the new beds cut, the next job was to transfer two or three inches of top soil from the tropical border to the new beds and begin preparing the former. The new tropical border is close-by the path. Next job? Barrowing several loads of very well-rotted manure in from out on the drive. Next job? Barrowing several loads of compost in from the ‘bins. I've been asked to leave the roses in situ - though if all goes to plan they will find themselves smothered by the new tenants. And also, looking at this photo, I'm thinking, "We're going to need a bigger bed!" It needs to be deeper. And then? Digging it all over – before it gets a final compost-mulch top-coat. Thankfully, I still have loads of compost available. With the hard work mostly done, I thought I had better make a start on getting some plants ready to go into this new tropical/exotic (call it what you will) border. 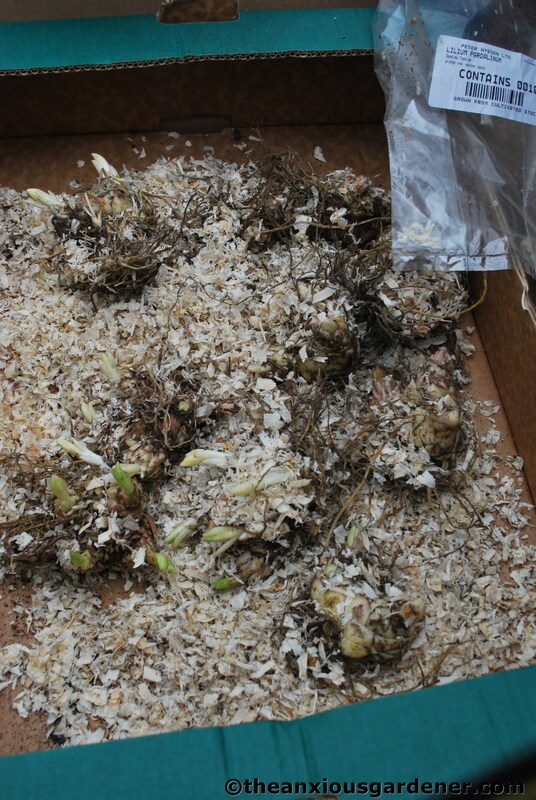 First up, were various dahlias that I dug up last autumn; dried, wrapped up in newspaper and squirrelled away. I checked them twice during the winter (to remove any rot) and, on unwrapping the other day, found that they were in fine fettle and raring to go. I also had my box of Precious Things; an order from Peter Nyssen and various other bits and bobs that I’ve picked up recently. I’m particularly excited about these ten Lilium pardalinum which, with luck and a fair wind, should reach two metres in height. Great to re-use some of the large number of old pots hanging about the place. 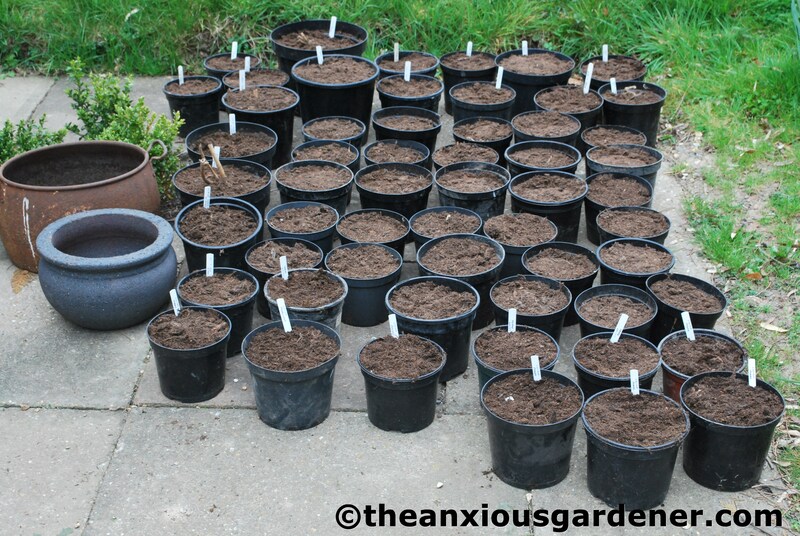 Quite a lot of time spent potting then and er, I might have overdone it on ‘Bishop of Llandaff’ dahlias. 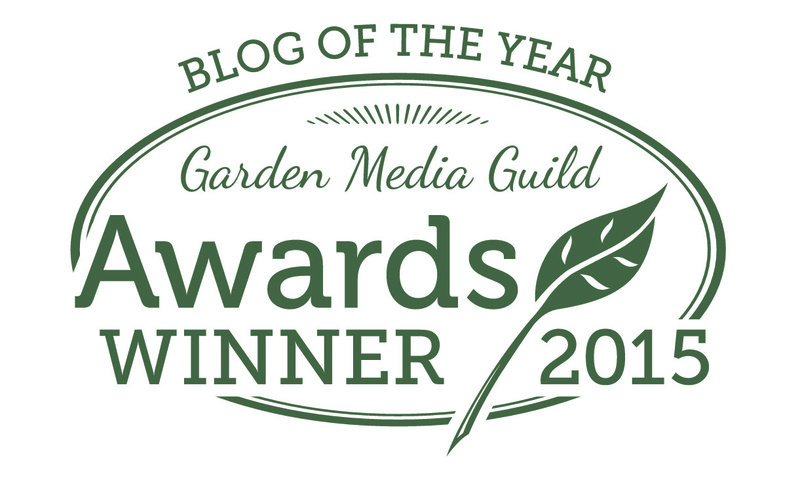 I’m a bit embarrassed at how many I’ve got (though I can use them in other parts of the garden too). I’ll say the number quickly and then we’ll move right on, OK? OK. Ready? Here we go … 29. I recently bought these rather lovely Melianthus major. Not a plant I’ve grown before but I’ve been itching to get my sticky mitts on one (or two) for a while. 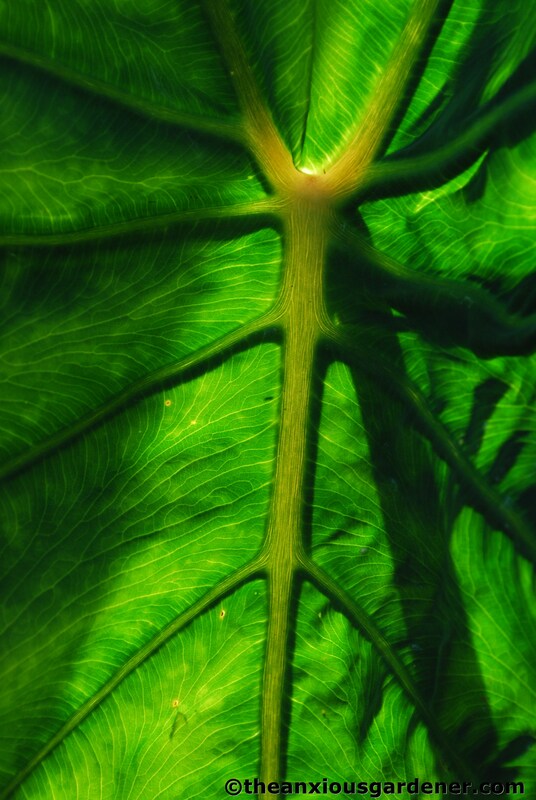 … a colocasia. I know the latter should probably have had a rest period over the winter but last September I dug it up, popped it in a large pot of leaf mould and put it in the (heated) greenhouse. It’s a little tatty (hence the close up shot!) but it can go back out soon with a head-start. 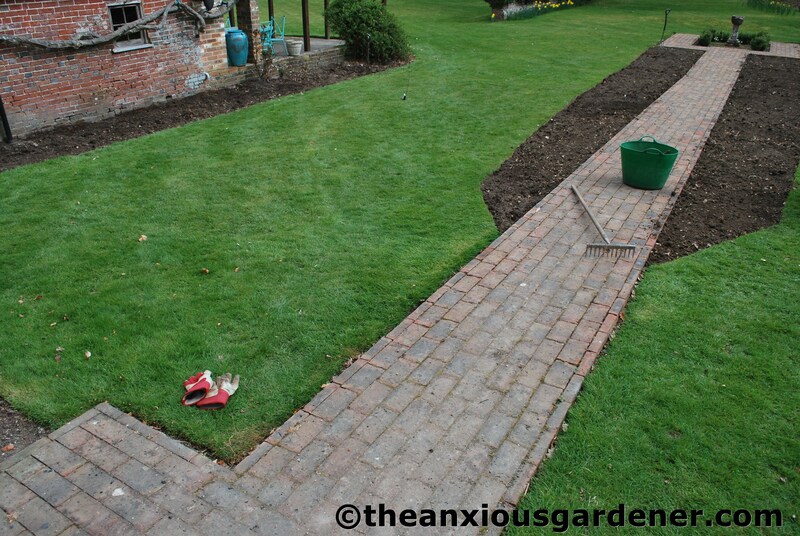 A lot of plants then but this is a big new border – and the old tropical bed needs plants too. I’ll let you know how it all turns out … unless, of course, it is an unmitigated disaster, in which case you will hear nothing more. Zilch. Nada. Nowt. Instead, I’ll concentrate happily on daisies in the lawn, dandelion seed-heads, frogs and back-lit oak leaves; the usual AG fare. But my silence will speak volumes and you’ll know, you will know, that the new tropical border looks absolutely rubbish. By the way… 29? Seriously? You still can be cured, you know? I’ve got a feeling that your tropical border wont look rubbish. Anyway, if it does go pear-shaped, you can always plant some of those dahlias in it. A tropical border is fun, although a lot of hard work. 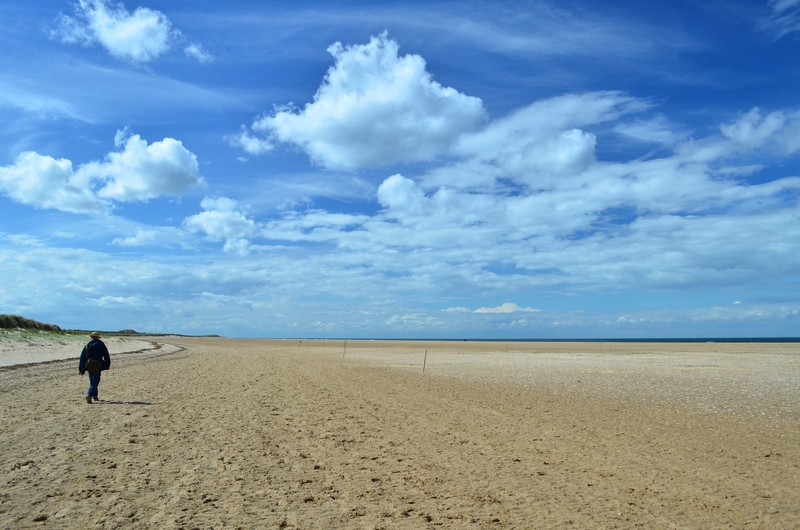 It should give lots of interest late in the season when perhaps other areas are looking tired. We don’t have enough water here (in Italy) for a tropical effect but Lillies grow well as does the Melianthus of which I must grow some more – I grew some from seed for a friend and as Helen says they germinate easily and grow on quickly. I’ll hope to see the border full of texture and colour later in the summer. Oh that’s brave. I need to take a page out of your book on that! Do you think brave? Foolhardy perhaps, as there are so very many failures to choose from! I think we all learn more from garden failures than from success. I am forced to take this attitude, since my failures are so evident. 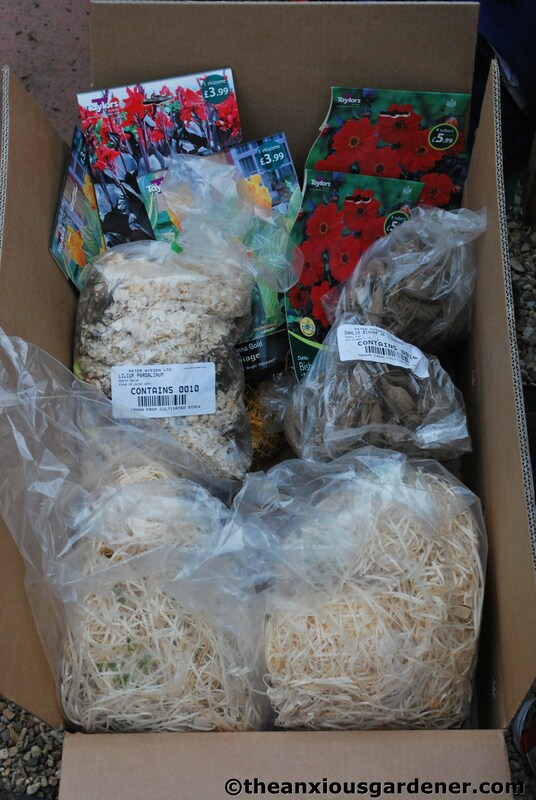 In which case, Mr K, we are both set to become all-knowing Master Gardeners. Which is nice. How exciting, a bigger tropical border that ill be a riot of colour in just a few months! It’ll be an explosion of red too with that many Bishop of Llandaff which is probably my favourite Dahlia (and a Dahlia I’m having difficulty finding one recently!). Looks like the Echiums will be set to flower this year too and will rewarded with towers of inflorescence. So looking to seeing the progress pics! I agree with Mr. K about how pleasing the straight lines are in this case, but failing that, would something like a guitar body work? 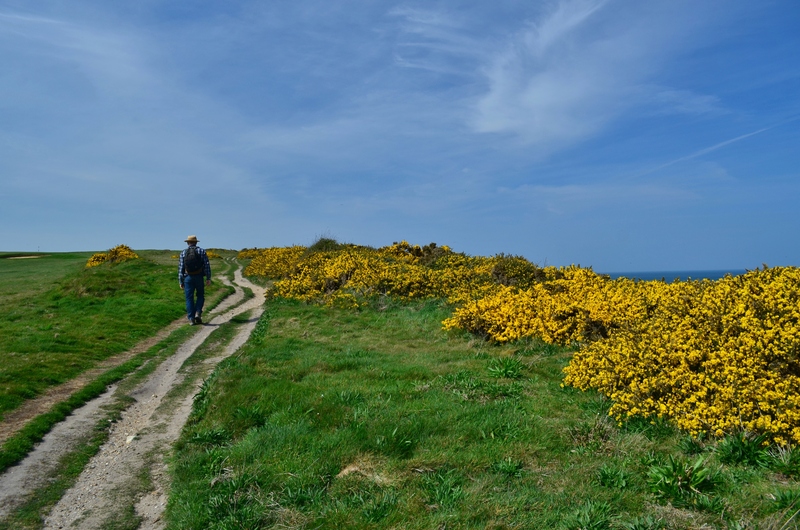 The large, round end would be down at the far end of the path where the bird…bath? baptismal font? urn? is, with the “waist” about 2/3 of the way up the new beds you’ve made and the smaller curve ending where the new beds end now. I LOVE that kind of lily. Hope your back mends soon, or that your circle of friends includes at least one Swedish masseuse. The light in your first photo is beautiful. I’m sure the hot/tropical border will be a great success. You’ve got a great selection of plants and they will be perfect for drought hit Britain!! I love Melianthus too but it can be tender and would never survive a Welsh winter so for now anyway that’s one plant that will just have to stay on my wish list. 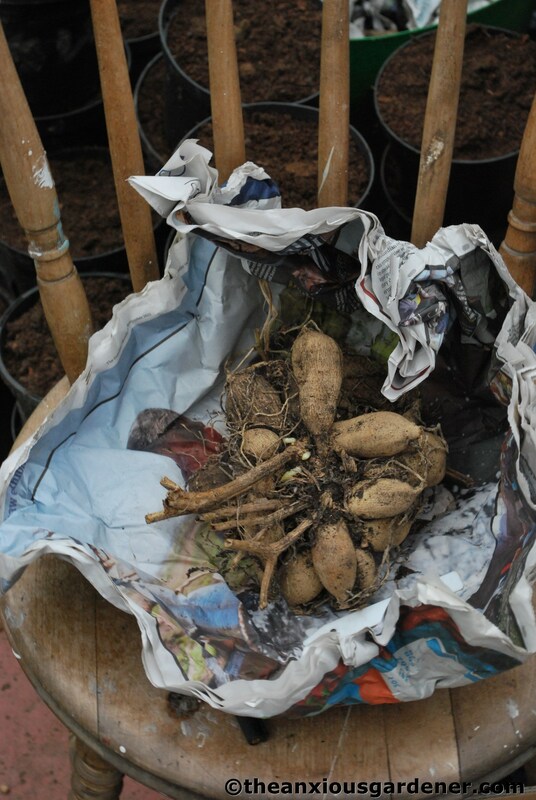 I’ve just potted up some stored dahlia tubers but haven’t got a clue where I’ll put them this year. There’s a pond now where they were last year. 29 Bishop of Llandaff, let me just check that again … definitely 29, you’ll have quite some impact there, looking forward to seeing it all when it’s done. Good luck with it all. Ooh angel cake & angling have ‘an in them, but now I’ve totally lost my train of thought…bugger! Where was I…oh yes…hard work, broken back, container-ship-shaped flowerbeds, too many plants, poop n’ compost. You need a break, failing that, an assistant. Packing my bags as I scribe to lend a trowel. I could sleep in that posh heated greenhouse and eat bananas from the Tropical bed. If you could supply the odd cup o’ char that’ll do be just fine. Fear not, the cavalry is en-route! It’s no wonder your back is done in with all that barrowing. You need a young assistant for all this work then you can be the artistic flamboyant gardener. Not suggesting you’re over the hill or anything.! Would love to have Dahlias but we’re a bit too high up here at 600ft above sea level. Any info about Echium pininana..how high…situation etc? I was given 3 plants as a gift. I have been thinking, Bridget, about contacting the local horticultural college and asking if I could ‘have’ a student a day or two a week, especially now as there is talk of opening up the gardens to Joe Public. 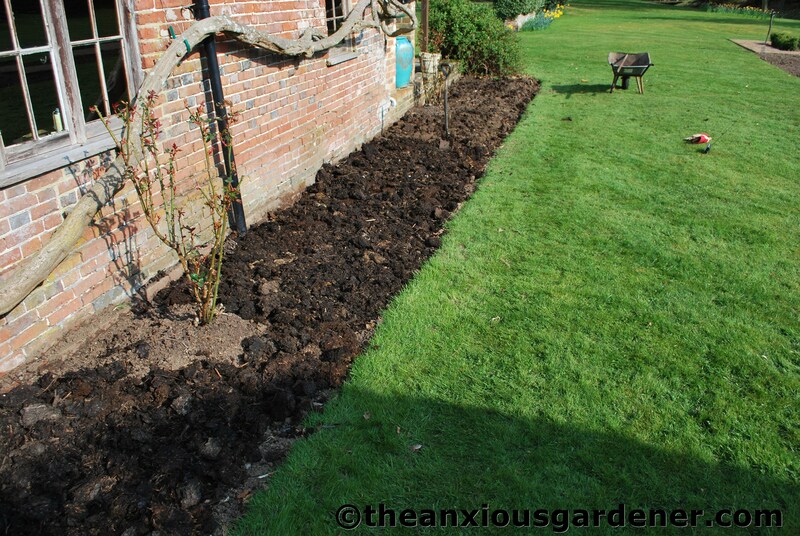 How exciting I love new borders; What about doing half moon shapes so the borders are wider? 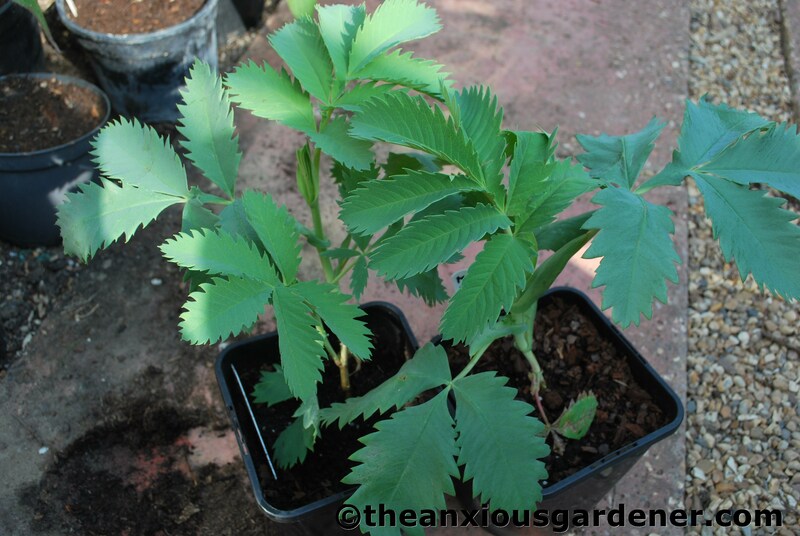 I have Melianthus, grew them from seed last year, they seemed to germinate qute easily. Now I have 3 reasonable size plants I need to decide where to plant them! 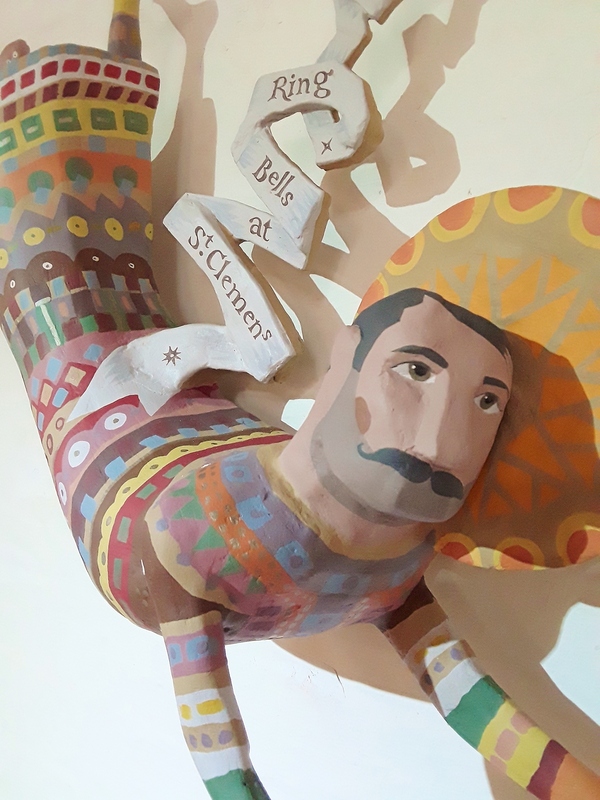 Looking forward to seeing your tropical border develop – maybe you could trade some Bishops for something else? Hehe. Oh well. Worth a try. 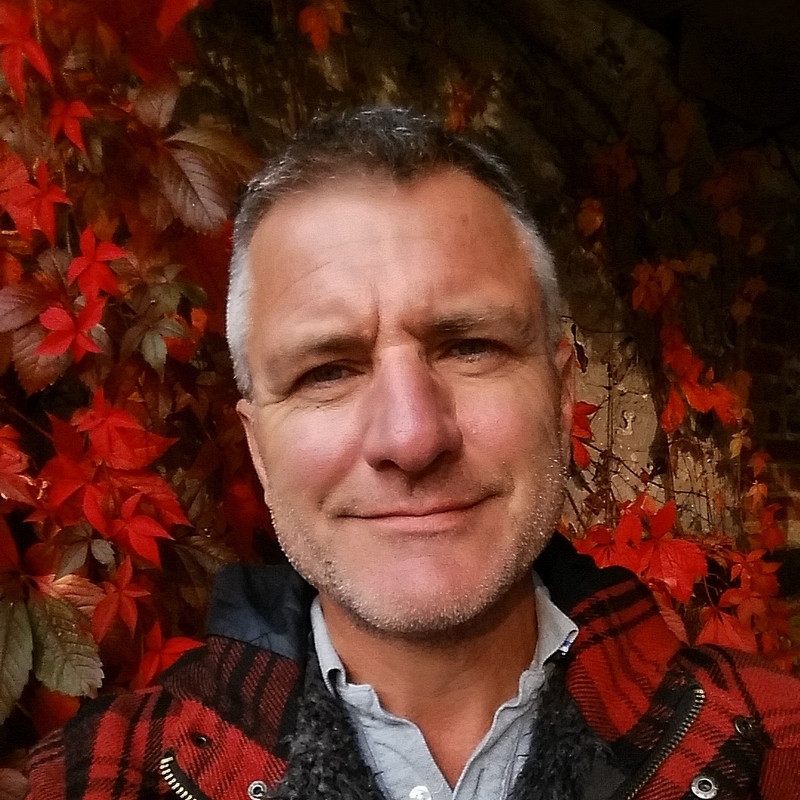 Came here attracted by your title and the fact that you’ve changed to WordPress – something I’m thinking about. Will be back to read more! You will love Melianthus major. When you “get your sticky mitts on one” take a whiff of your mitt, it will smell a bit like peanut butter. Great plant for a tropical border and a wonderful texture and color throughout the season. I like the shape of those beds. Now and again there’s a place for rigidity – and the path and the geometric cuts look like the fletching of an arrow. 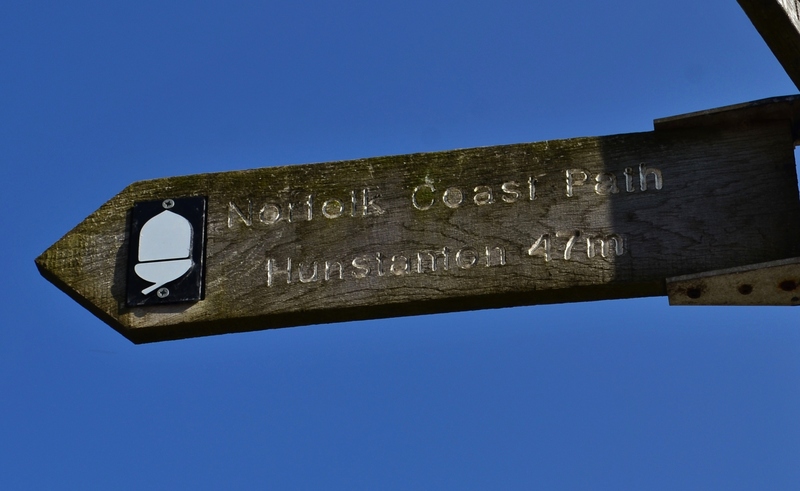 The concept of a ‘tropical’ border is good, but not one that I am likely to adopt, for obvious reasons…. I doubt if any of your work’s rubbish, Dave. 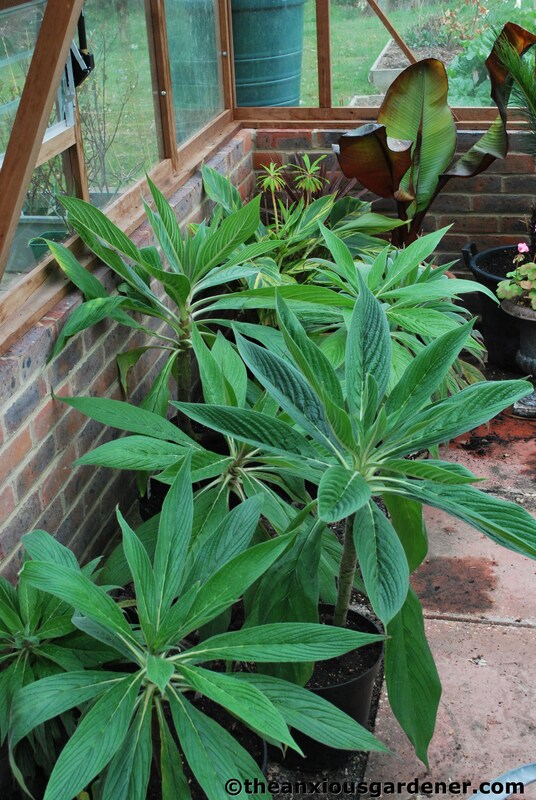 Those Echiums ( one of my favourite exotics ) look in splendid health – I can’t believe they’re so young. I have to ask – do you feed them up or do you let them do it tough? – only because I think of them as liking poorer soils. Lots of hard work but I’m sure it will be worth it. 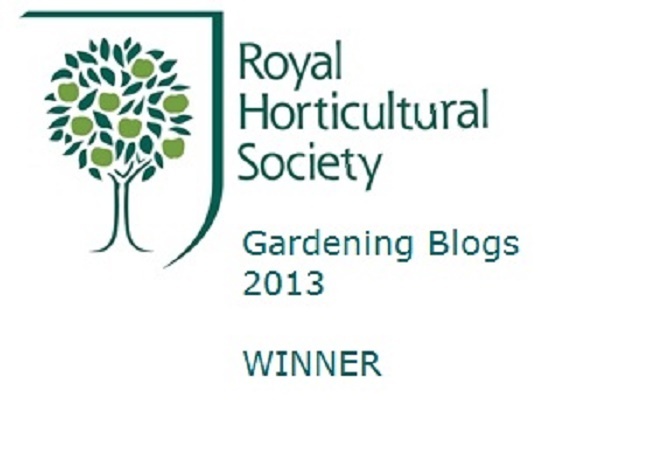 How can it be a failure – with your green fingers. Looking forward to seeing how it all works out.